This Mother's Day, send a hand made card that will have the recipient amazed at the detail and care you used in choosing a card for them. 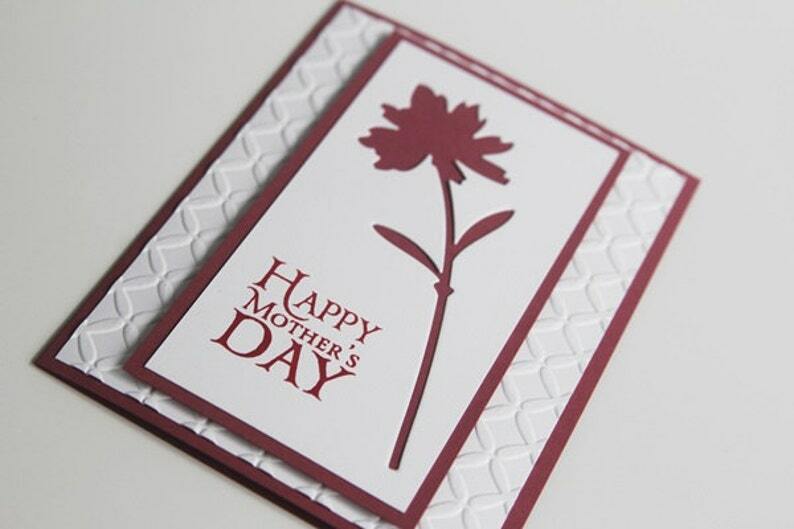 From stamping, to cutting images and dry embossing, the techniques used on this card for mom will show you went the extra mile. The flower image was die cut and the sentiment was hand stamped. 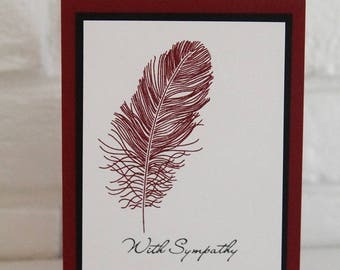 Layered with matching deep rose card stock, this layered was then attached with mounting tape over a dry embossed layer and a final layer of rose card stock, making this a substantial four layer card. The inside of the card has been left blank for you to add your own words.